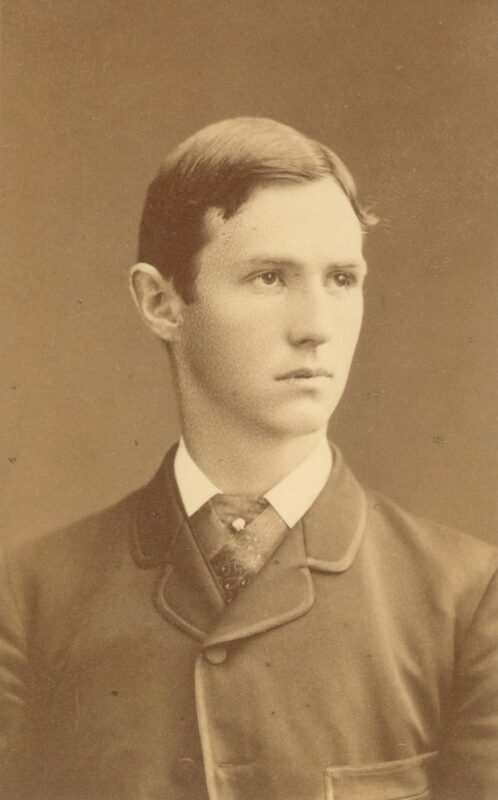 Thomas Guy Hunter was born on April 10, 1862, and entered the University of Pennsylvania in the Class of 1882. In his day he was one of the best athletes in the area and was the first person to get a varsity letter “P” in five different sports: crew, football, baseball, track, and cricket. During his four years he earned sixteen letters, was a member of the Phi Kappa Psi fraternity, and served as president of his senior class. After graduation, Hunter worked as a chemist, mining engineer, and for a real estate firm while remaining active in the Athletic Association and serving as president of the College Boat Club. Thomas Guy Hunter was a member of the Bachelor Barge Club, the Franklin Institute, University Club, and the American Electrochemical Society before succumbing to heart disease on March 10, 1916.